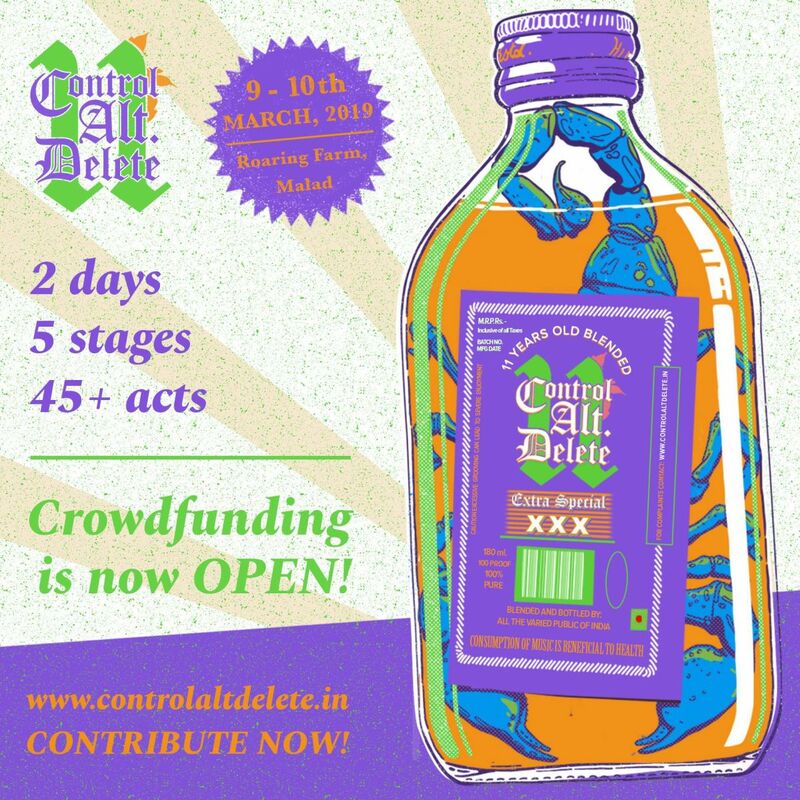 Control ALT Delete aka CAD is back for its eleventh edition, the crowd-funding campaign has officially started. The festival will have 5 stages with over 45 artists over two days, representing and showcasing the best of independent music artists across the country. CAD is perhaps the only festival in the country which successfully keeps its audience as an equal stakeholder while taking the power of sponsors or brands out from the equation. The festival’s curation remains genre agnostic covering a wide spectrum and is based on a pay-what-you-want model since its inception in 2011. CAD as a festival is an inclusive space for fans and aspirants in the independent music scene regardless of their economic status and follows a rule of no logos, branding of any commercial sponsors, making the contributors and attendees the real sponsors. The upcoming edition will be held at the repurposed motocross track at Roaring Farm, Malad, in Mumbai, on 9-10 March. The CAD campaign needs to collect a minimum of Rs 5 lac online , has collected over Rs 48,000 so far with 43 more days to go until the campaign is over – click here to contribute. The festival offers guaranteed deliverables with each contribution and complete transparency with collected funds.